What Is a Wetlands Biologist? Wetlands Biologists study the life and conditions of life that exist within wetlands - both plant and animal. What Does a Wetlands Biologist Do? Wetlands Biology is a growing area within the niche of biology and biological sciences. Biology is the study of all life - plant and animal - and how they interact with the world around them. Specifically in the case of wetland biology, it will be about the relationship between the wetlands environment and the life that lives there. 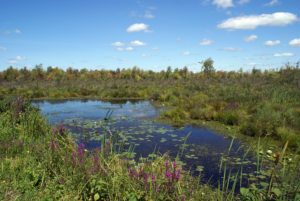 These environments are important whether they are seasonal or permanent wetlands and the environmental biology of wetlands requires as much protection as other landscapes. Wetlands Biologists will have a thorough understanding of the wetlands environment, and are able to work in a variety of roles within that environment. Typically, some will work outside, monitoring such data as population levels, population trends (which species are present and what time of year and in what numbers) and other ongoing monitoring programs related to biological life. Some may specialise (fish, birds or insects) or they may be generalists and will often work alongside wetlands specialists who monitor physical, ecological and chemical elements. Some may work in offices, processing data and processing reports for various stakeholders. These could be government bodies such as the EPA or NPS, or they could be for charities or private owners. Some landowners create wetlands as reserves or are under obligation to monitor and protect them. They may also work in zoos or parks, parts of conservation programs or in public education. Most science education roles, conservation jobs and environmental monitoring should be open to wetlands biologists. Where Does a Wetlands Biologist Work? This niche area has little data in terms of which specialists are employed in which areas. However, for classification purposes they are considered environmental scientists. According to 2015 statistics, the largest area employing this type of professional is management, scientific and technical consulting services. Some 23% are employed in this sector. They will work for independent contractors, carrying out work for private businesses and government. Typically working in small units, they will carry out assessments either for academic record purposes or ahead of residential or commercial development. They may also carry out independent assessments to evaluate the impact of local action. 22% of employees in this sector work for state government, monitoring local impacts and reporting to decision makers and those responsible for environmental protection in the state. They may work directly for government bodies or indirectly, but responsible for state-owned property (state parks). Local government employs 13% in similar roles. 6% work for Federal government at organizations such as the EPA and NPS. Engineering services employ around 10%. They will work with and alongside construction professionals, architects and civil engineers to ensure that environmental protection standards are adhered and monitor for any potential impact. What Is the Average Wetlands Biologist Salary? According to BLS data collected up to May 2015, the median salary for this type of role is $67,460. The lowest 10% reported salary of around $40,350 and the highest 10% of earners reported a salary of $118,070. The highest paying sector was reported as Federal government with an average salary of $99,260. Many of these roles are high positions with responsible roles in decision-making areas. The second highest paid sector was management, scientific and technical consulting. The salary came in at just over the median with $68,410. Engineering too was just over the median with a salary of $67,830. Local government was $65,320 and the lowest was state government at $60,280. Use the search box below to find all the wetlands biologist job listings in our job board. What Is the Job Demand for Wetlands Biologists? Wetlands have seen an increasing focus worldwide in the last few decades with much effort made to maintain and preserve their environments. The environmental science and specialist area is expecting to see an increase of around 11% in the coming decade. 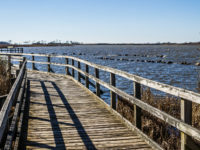 Climate change mitigation in line with Federal law and international agreements will focus on reducing greenhouse gas emissions, but also on preserving fragile landscapes such as wetlands. This will mean greater focus on the environmental sciences and promotion of degree courses for graduates. What Are the Education Requirements to Become a Wetlands Biologist? A degree is essential at the very minimum. High school students should achieve good grades in the traditional science subjects - physics, chemistry, biology and math in order to be considered for a relevant degree course. The student should also focus on geography, as degrees relevant to wetlands biology will require understanding of ecology, environmental science and other geoscience related concepts. There are no degrees in wetlands biology, so the student should study for relevant and obvious degrees centered on the subject. Naturally, this will include biology and geography, but the student should take relevant minors and electives such as ecology and environmental studies and other related subjects. We recommend tailoring coursework to conservation and to wetland preservation in particular. A bachelor's degree will be sufficient for most entry-level jobs, but for any role of greater responsibility include research and report writing, the student should study a master's degree. Fish & Wildlife Management is a useful degree choice, as is anything related to landscape studies including GIS and remote surveying. We recommend where available, that the student study these geographic technologies. Students with aptitude, and also those who wish to enter into an academic career (rather than as applied science) should study a doctorate. PhD programs are best for those who desire high-level decision-making and academia, but not suitable for those who would prefer to work in the field. What Kind Of Societies and Professional Organizations Do Wetlands Biologists Have? Wetlands biology is now a globally recognized conservation issue. Here are some representative bodies. 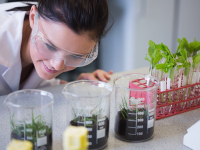 What is a Plant and Soil Scientist? 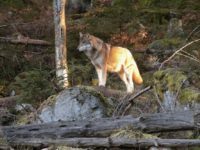 What Is a Wolf Biologist? 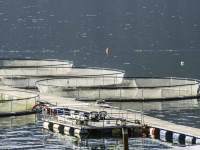 What is a Fishery Manager? 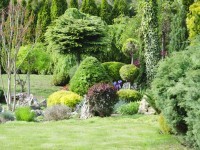 What Is a Wetlands Designer?